Blowout Sale! 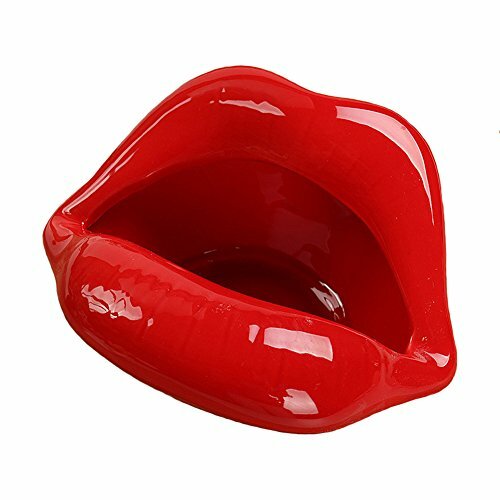 Save 67% on the YOURNELO Modern Lighted Lips Ceramic Cigarette Ashtray Holder for Home (Light Red) by YOURNELO at Serious Jones. Hurry! Limited time offer. Offer valid only while supplies last. This simple and classically designed ashtray is easily washed in a dishwasher. Perfect for a small table or patio to enjoy a smoke with your friends! This simple and classically designed ashtray is easily washed in a dishwasher. Perfect for a small table or patio to enjoy a smoke with your friends! Grab this timeless ashtray from YOURNELO today!